Damned if you do, damned if you don't!! 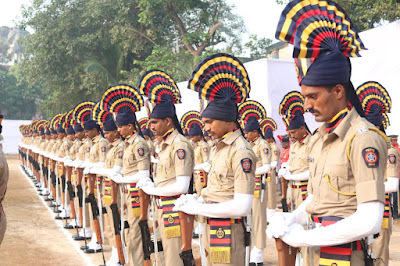 The Police Commemoration Day is observed on October 21st every year. We stand with our heads bowed on this day in the memory of our colleagues who laid down their lives in the line of duty. Their supreme sacrifice is an inspiration to everyone who proudly wears the khaki. The day commemorates the sacrifices of ten policemen at Hot Springs in Ladakh while defending our borders with China. On October 20, 1959, three reconnaissance parties were launched from Hot Springs in North Eastern Ladakh. While members of two parties returned to Hot Springs by the afternoon of that day, the third one comprising of two Police Constables and a Porter did not return. All available personnel were mobilized under the leadership of DCIO Shri Karam Singh early next morning in search of the missing personnel. At about mid-day, Chinese Army personnel were seen on a hillock who opened fire and threw grenades at the party led by Shri Karam Singh. Ten of our brave Police Personnel attained martyrdom and seven others sustained injuries. The seven injured were taken prisoners by the Chinese while the remaining managed to escape. Bodies of the ten police personnel were returned by the Chinese only on November 13, 1959, a full three weeks after the incident. The bodies of martyrs were cremated with full Police honours at Hot Springs. The Annual Conference of Inspectors General of Police of States and Union Territories held in January 1960 decided that October 21 would henceforth be observed as ‘Commemoration Day’. 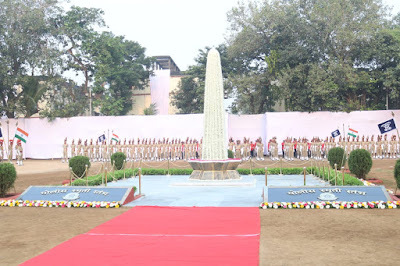 It was also decided to erect a memorial at Hot Springs and every year, members of Police Forces from different parts of the country trek to Hot Springs to pay homage to those gallant martyrs. Commemoration Day Parade is held in every district police headquarter. During this ceremonial parade, the arms are reversed (Shok Shastra) and two minutes silence is observed in the honour of the departed souls. 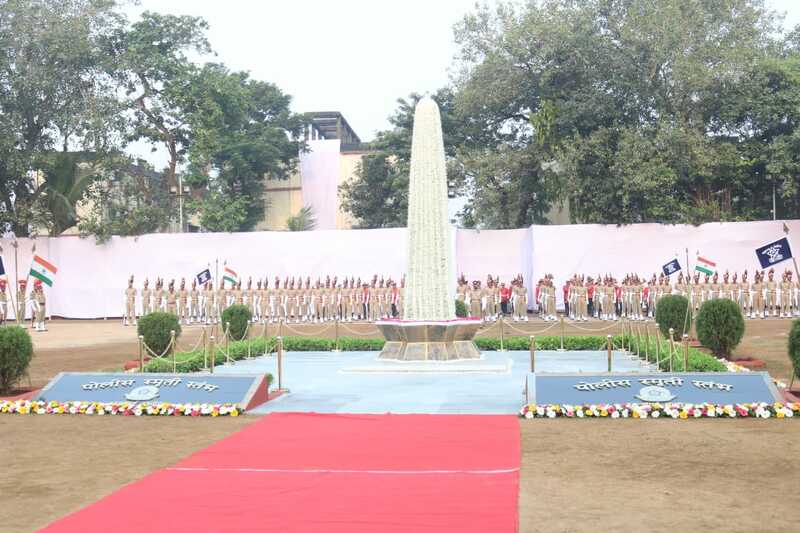 The names of police martyrs of states, police and paramilitary forces are read out, to acknowledge with pride the supreme sacrifices made by them. Three volleys of shots are fired as a mark of respect to the martyrs. Each year, Commemoration Day meant to honour the supreme sacrifices of policemen largely goes unnoticed either because of the indifference towards policemen or ignorance of their service. Unfortunately, police force in India has not got its due even though it is embedded in every segment of our society. More often, police is neglected and dismissed as corrupt, in-efficient and not people friendly. Such allegations may be partially true, but there has not been a genuine effort by the critics to appreciate the good work done on regular basis which largely goes unnoticed. Since Independence, 34,832 Police personnel have sacrificed their lives for safeguarding the integrity of the nation and providing security to people of this country. During the last one year, from September 2017 to August 2018, 414 Police personnel have laid down their lives. On the other hand, since independence, approximately, 23,000 Indian Army soldiers have made supreme sacrifice. During the last year (2017), 106 Indian Army soldiers have laid down their lives in the service of the nation. Without any bias or animosity towards armed forces, we have seen army being lauded time and again for their sacrifices. The armed forces are well equipped in terms of budget, state of the art infrastructure, medical facilities, welfare of soldiers and their families, etc. Unfortunately, this is not the same for policemen despite their contribution and sacrifice for the country is no less. If the armed forces are guarding our country from external threats, the Indian Police is there to ensure peace and tranquillity within the country. This is certainly not an easy job considering the challenges the police forces face every day. 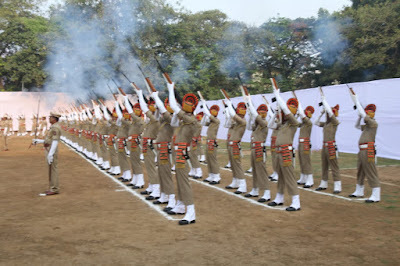 Threat of terrorism, communal violence, law and order, insurgency and Naxal violence, diverse nature of the crimes with increasing sophistication, general and local body elections, natural calamities and several other complex issues are on the overcrowded plate of police and this is not a one-time job. The policemen are certainly overworked and underpaid. "The Policeman is denounced by the Public, Criticized by the Preacher, Ridiculed by the Movies, Berated by the Newspapers and Unsupported by the prosecuting officers and judges. He is shunned by respectable, He is exposed to countless temptations and dangers, Condemned while he enforces the law and dismissed when does not. He is supposed to possess the qualifications of soldier, doctor, lawyer, diplomat and educator with remuneration less than that of a daily labourer." - August Vollmore. On this Commemoration day, we stand with our heads bowed in the memory of our colleagues who laid down their lives in the line of duty. Their supreme sacrifice is an inspiration to everyone who proudly wears the khaki. It takes an extraordinary courage and motivation to fight for someone you hardly know, to protect someone you have never met, to die for someone completely unknown. George Patton once said, "It is foolish and wrong to mourn the men who died. Rather we should thank god that such men lived." Let us remember and celebrate the life of those martyrs who have made the supreme sacrifice for our country and let us thank almighty god that such men and women lived for us. He is supposed to possess the qualifications of soldier, doctor, lawyer, diplomat and educator with remuneration less than that of a daily labourer.